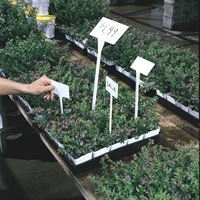 Two easy ways to label and/or price plants. Made of weatherproof plastic and available in many styles and sizes. All stakes can be writen on with Permanent Markers or re-use by using washable Posterman Pens, or our pressure sensitive labels that can be imprinted with your thermal transfer printer. 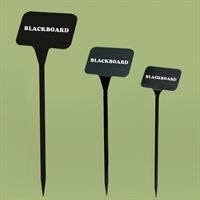 Chalk also works great on our blackboard stakes.